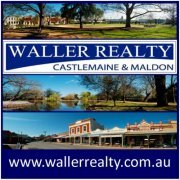 Located In the historically significant town of Castlemaine, this stunning five bed-roomed home sits on an acre in the north part of town. Large return verandah takes you through the painted glass doors to polished floorboards 13ft ceilings and open fireplaces. Featuring 5 bedrooms, one currently used as study, formal dinning room, drawing room, 2 bathrooms and large kitchen/ breakfast room. There are 2 carports, a garage, bike shed and wood shed, surrounded by beautiful gardens with oaks, sycamore and liquid amber’s plus veggie garden. Hydronic heating and air conditioner.